Comedy Family Wedding Toastmasters MC. Comedy Family Wedding Toastmaster MC, Magic OZ is a reputed professional wedding magician and MC who also offers his magical wedding services as a wedding toastmaster, Master of Ceremonies and wedding magician. A renowned entertainer, he also acts as wedding close up magician, comedy close up magician, and corporate magician at private functions, corporate cabaret shows, and dinner parties. His expertise lies in entertaining all age groups of children, teenagers and adults with customized magic, in a Fun and magical way as a toastmaster as the Comedy Family Wedding Toastmaster MC. 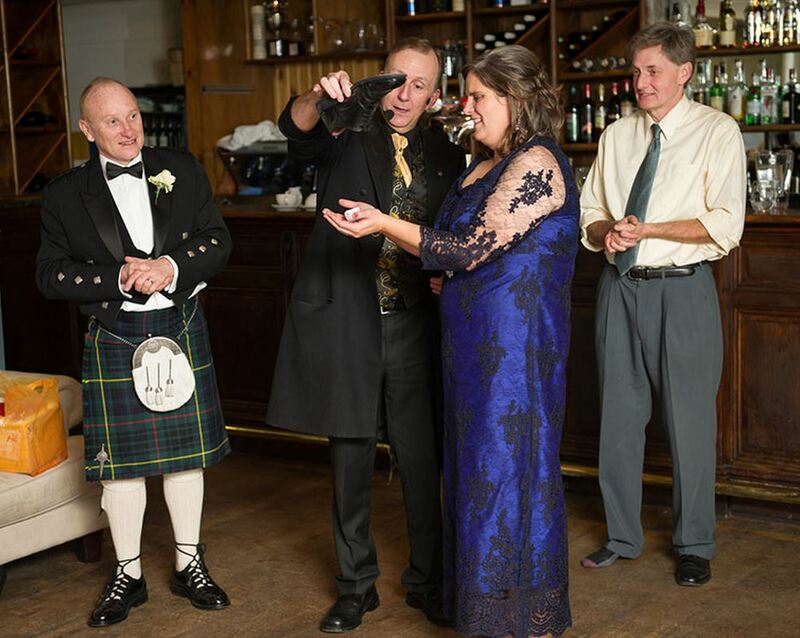 As a Comedy Family Wedding Toastmaster MC, Magic OZ has participated in numerous weddings and anniversaries in London Surrey, Kent, Oxfordshire, Hampshire and Hampshire. The distinguishing fact about Magic OZ is that he doesn’t believe that a toastmaster’s duty is limited to making speeches. Magic OZ, as one of the most sought after toastmasters who plays a crucial role in conducting your wedding and ensuring that all guests love being part of it. Magic OZ believes that as a Comedy Family Wedding Toastmaster MC he plays an active and important role in ensuring success of your special wedding day. After the client books him, he researches extensively about family background and of the couple themselves, other important guests and their history. This helps him in preparing customized speeches and interacting with your family, friends and special guests. For these reasons, Magic OZ urges clients to book him as soon as possible as he gets booked up very quickly. On your wedding day, Magic OZ reaches the venue an hour or so before the wedding ceremony is expected to start. He liaises with musicians, photographers and other professionals for ensuring that the event moves on smoothly. If your wedding is taking place at a hotel, he liaises with the staff and makes sure that the welcome drinks are ready to be served as the Comedy Family Wedding Toastmaster MC this is taken in hand. Once all the guests have arrived, he gives special entrances to the groom, parents, and the best man and leads them to the ceremony room. Post the ceremony; he greets the couple with champagne. Also, he welcomes the guests to the reception and ushers, if required. He introduces them to the hosts and the couple. Magic OZ’s specialty is that he’s not just a toastmaster who passively announces speeches. He’s a professional comedy family wedding toastmaster MC who knows how to conduct a wedding and make everyone feel comfortable. He offers being a toastmaster in a fun way and is not as stuffy as most Toastmasters are. Get in touch with OZ and get a free, no obligation quote from this renowned entertainer and Toastmaster London.